Spicy Lemon BBQ MarinadeLove lemons? 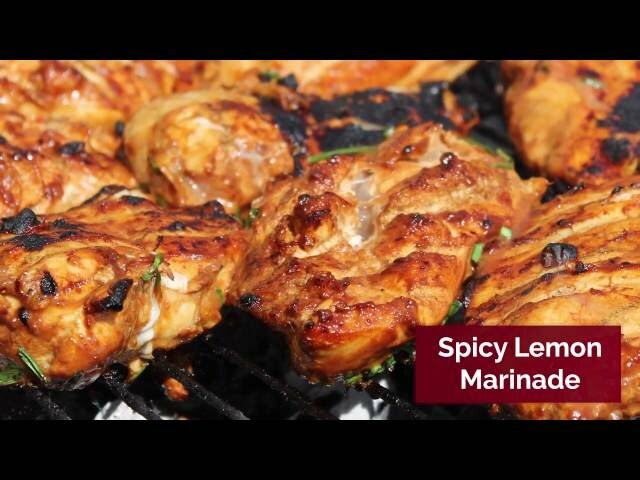 Use this marinade chicken or fish and grill to add a zesty kick! Make no mistake – this could easily become your new favourite sauce…period! This is such a brilliantly versatile marinade that’s perfect for just about any BBQ chicken recipes, pork recipes or even as a glaze for your favourite fish! You’ll never run out of creative ways to put it to use – it’s the perfect pick-me-up for simple and cheap BBQ recipes that may be in need of a little lift. Just don’t be surprised if you enjoy it so much, you find yourself getting through gallons of the stuff in a single sitting! Mix all of the ingredients in a small glass bowl, adding more or less seasoning as required. Use to marinate meat or fish for 30 minutes before grilling to add a zesty tang and a little spiciness to your favourite BBQ recipes!